I'm on a plane as we speak to Portland, Maine where I will be spending the week with my dear friend, amazing client and one of my awesome coaches, Lisa Fraley. I cannot WAIT to have a responsibility-free girl's week! Lisa and I became close when be both attended the Institute for Integrative Nutrition (IIN) as we were training to become Certified Holistic Health Coaches. And what I love about Lisa's and my relationship is that we became friends first before we ever did business together. Even though we live far away from each other, we have always made time to talk regularly. Through our long phone chats, we learned each other's strengths and skill set. Through our journey we encouraged and coached each other to grow more fully into those strengths, and as a result she is now a rockstar Legal Coach and I am a Marketing Mentor. LOL - we're not health coaches anymore but we bring our powerful IIN training as coaches and our holistic perspective into our own businesses respectively. 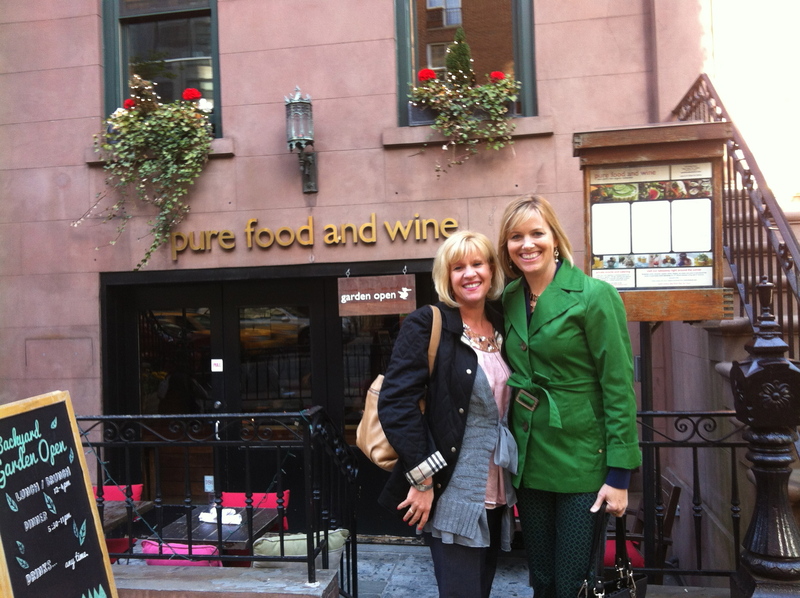 Through our friendship, Lisa and I became clients of each other as we each had valuable skills that each other needed. Lisa helped me set up my LLC, helped with client agreements and more so that I could "cover my buns"legally and feel safe and empowered as my business grew. I have supported Lisa with launch strategy and content marketing ideas for her to skyrocket her legal coaching services. While being each other's client is amazing - it started with friendship first. In my coaching I see so many women who want to find clients "out there"and are eager to ramp up their online efforts. They want to find clients magically from behind their computers. They envision all these "invisible people" waiting to be their clients. They want to ramp up their website, social media and more to reach these "invisible people." Yet they don't know who or where to find these "invisible people"
And I have to tell them that one of the BEST ways to get your next client is to look in your immediate circle. Now don't get me wrong, online marketing is ah-ma-zing for business owners like us. But we can't forget those in our own backyard. Do you have someone whom you have talked to before about working together but for some reason it didn't work out? Do you have a friend who is always asking about your business? Are you active in an online or offline group where you KNOW there are people in there who need you? Be genuinely interested in helping them solve their issue - not from a place of trying to get business, but from a place of service. You see - in this amazing world of technology - people are craving the human connection. They are desiring help in a personalized way - from someone they can relate to. So be relatable! Use your personal side to pick up the phone or send a personal email. Try connecting with just one "warm body" this week and let me know how it goes!